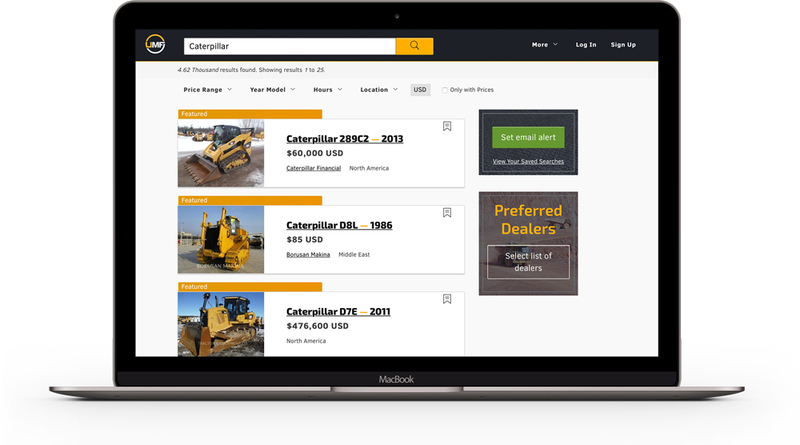 Search and compare machinery from the world’s top listing sites. Easily search all major listing sites from one place. Get your machines in front of over 100k targeted visitors per month. Save your searches and receive automated, 'up-to-the-minute' email alerts on available machinery. Quickly narrow and sort by price, location, year model, hours and much more. Add machines to your watchlist to easily find and compare them later. Get helpful stats like Average Pricing, Price Trends, Search Volumes, etc. UMF does the work for you. Used Machinery Finder is very easy to use, I have put up all of my inventory without any issues. Great value for time spent online finding new customers. Save tons of time and get more organized when searching for heavy machinery. analyze, and monitor the heavy machinery market.